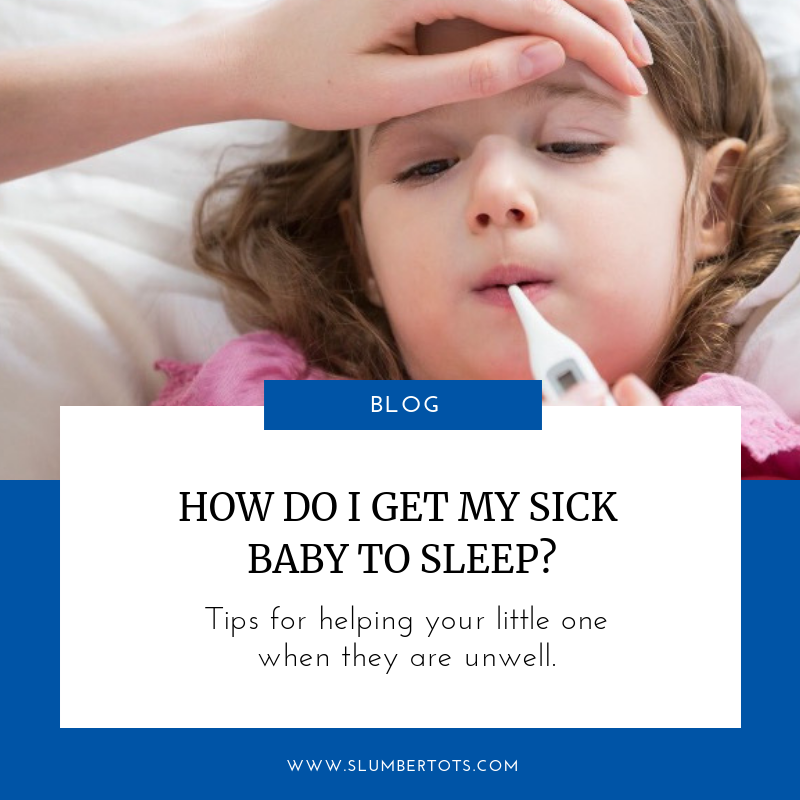 How do I get my sick baby to sleep? A question I am often asked by parents in the winter is “how do I get my sick baby to sleep”? Cold season is now in full swing, which means we are all exposed to more germs on the daily commute, in the office or when we’re out and about. The same is true for our children when colds and bugs are doing the rounds at nursery and school. It’s common for things to be going well on the sleep front, then everything is derailed by an illness. Then you find yourself unsure how to get things back on track. The good news is, if your child was a good sleeper prior to an illness, getting him sleeping well again isn’t going to be as hard as you think. This is because the foundation has already been laid! If you know your child is unwell, then they are likely to wake during the night. Even as adults when we’re ill, our sleep is disturbed and we’ll usually wake up once or more. The best thing to do is to anticipate these wake ups and know that it is most likely going to be a harder night than usual. Avoid introducing new sleep associations. Something that can cause issues down the road is when parents intervene in their child’s self-settling when they fall ill. They try to rock baby to sleep in their arms or go back to their old sleep props, such as feeding to sleep. This is understandable as, obviously, we all want to comfort our children when they are ill! By all means do go in and have a short cuddle. Give some medicine if needed, wipe his nose, give him a drink of water, whatever he needs to make him comfortable. But try to avoid interfering with his sleep skills. Try to avoid rocking or feeding him to sleep, especially if you’ve worked hard to get rid of these props. Give extra fluids in the short term. If your child has a high temperature or a sickness bug, your doctor may suggest extra fluids at night. Hopefully you’ll only need the extra feeds for a few nights. Again, follow the advice of your doctor, but in many cases your little one should be on the mend within a few days. If anything happens for more than three nights, there’s a good chance that your baby will come to expect this. This may mean they start waking up looking for feeds even once they have recovered. Move to your child’s room to monitor. Another thing I would recommend trying to avoid is bringing your child into your bed. It’s understandable to want to keep an eye on your child and be there when he wakes in the night. In many ways, it also feels like the easiest way for you all to get some sleep. However, in these circumstances it’s better for you to go to him rather than bringing him into your bed. In a few nights time when he’s feeling better, it’s easier for you to leave his room. Put down an air bed, or fold over some blankets and spend a couple of nights on his floor. Try not to do this for more than a few nights; otherwise it will make it harder for your child to adjust when you do leave. The thing to keep in mind following illness is that, once your child’s feeling better, you can start again. A good bedtime routine is a great start, as well as encouraging him to fall asleep independently. It might take a night or two, but the foundation is already there and his sleep skills are already established. He’ll just need a few gentle reminders. Usually, it doesn’t take more than a few nights. If you would like some support with sleep issues that your child is experiencing following an illness, or for any other reason, please follow the link to book a call with me, or email me at katy@slumbertots.com.